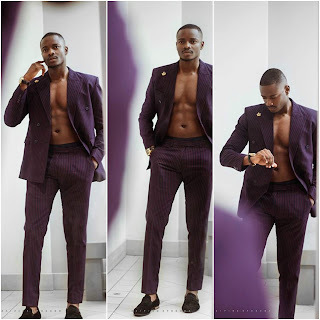 Former Big Brother Naija Housemate, Leo Babarinde Dasilva is a year older today, July 10, 2018. "First time I don’t feel like celebrating my birthday in any way. I want to take a good look at myself and reflect on my life thus far. My father was always the first person to call me and my mother organised prayer sessions for me on my birthdays. Today, both of you didn’t get to see your pride and joy turn 26. But, I always feel like you prepared me all my life for this moment, the moment I will be by myself but not entirely by myself. Raised to be self sufficient, never dependent on anyone physically or emotionally, never trust the world and always to stay strong. I was raised most especially to understand my self worth. To be honest, I just really miss my parents but still I’m not ungrateful. I am grateful to God for life and grace. At 26, I have had so many set backs and managed to bounce back quickly from them. How I do it? God’s grace. I know God is always by my side and my mother was always right behind. I’m not perfect but I’m perfectly loved. Experience really isn’t about age but about how much you apply yourself. I was never going to make excuses for myself because of my age. I just work and try my best to achieve as much as I can everyday. As I have understood for a long time that tomorrow is not promised to anyone. So, Instead of asking for birthday gifts, I have a gift for Nigeria and the rest of Africa."